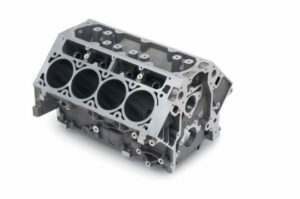 DCI Motorsports Premium Forged 408 cubic inch short block. Completely assembled ready to install your cylinder heads and matching components. Ask about our Warranty on all of our short blocks and complete engines. Brand new GM performance cast iron block, machined on precision state of the art Sunnen and Rottler machines. Aluminum blocks available at additional cost. Please inquire. Eagle Specialties all forged crankshaft assembly with H-Beam connecting rods. Available with 24 or 58 tooth reluctor wheel. Assembled by our professional in house engine builders.